Your past conviction(s) may show up on background checks, which can prevent you from living the life you wish to have by making it harder to get certain jobs, attain housing, or own a firearm. There is a way to own a firearm again after a prior New York conviction(s). Under certain conditions, a Certificate of Good Conduct (or Certificate of Relief from Civil Disabilities) may enable you to have your rights restored. You can also regain the privilege if you receive a pardon, though that is less common. What are the criteria for a Certificate of Good Conduct? If your criminal record includes misdemeanors in any number or two or more felonies, you are eligible to apply for a Certificate of Good Conduct. However, a waiting period exists between your conviction and your application eligibility. The waiting period is dependent upon your most serious conviction. It begins on the start date of your felony conviction or your prison release date, whichever occurred later. You must wait at least one year to apply if you have a misdemeanor conviction. For a Class C, D, or E felony, the minimum waiting period is three years. For a Class A or B felony, the minimum waiting period is five years. You have displayed good conduct during the waiting period, with no new crimes or outstanding fines. Your participation in rehabilitation has proven your good conduct. The public interest is preserved by the granting of the certificate. If your application is approved, you may be granted the right to apply for the license to possess a firearm if that restoration is specified in the Certificate. It’s important that you know some convictions automatically disqualify you from owning a firearm. Class A-1 and violent felonies are ineligible. 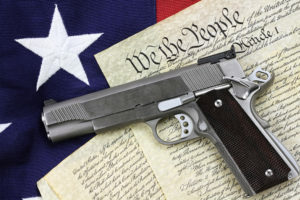 And according to the Lautenberg Amendment to the Violence Against Women Act, anyone convicted of misdemeanor domestic violence is prohibited for life from firearm ownership. Your Certificate of Good Conduct in the state of New York will not override the federal ban. Since the issuance of a Certificate of Good Conduct (or Certificate of Relief from Civil Disabilities) is so dependent upon individual circumstances, it’s important to seek the advice of an experienced attorney. They can prepare the application and appear in court on your behalf. Additionally, they will know how to speed the process along and keep you informed of all developments as they occur. The application process can be difficult and frustrating if you choose to do it yourself. A skilled attorney will take the load off your shoulders. Schedule your free initial consultation today with a helpful attorney and start your application process for a Certificate of Good Conduct or Certificate of Relief from Civil Disabilities.